Many of you have mentioned that you don't know how I make time to create with lots of munchkins at my beckon call all day. Some weeks leave me no creative time (which means I am dying to create when Saturday comes!) while other weeks lend me bits and pieces of time around taking care of home and kids. 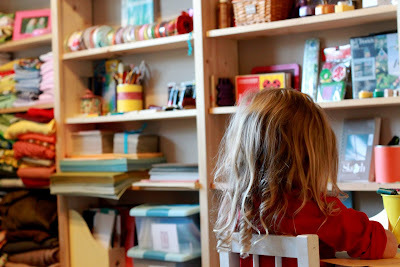 Either way, here is my secret weapon: a space that is just waiting for me to sit and create. That is all you need. A tangible, set up, space. 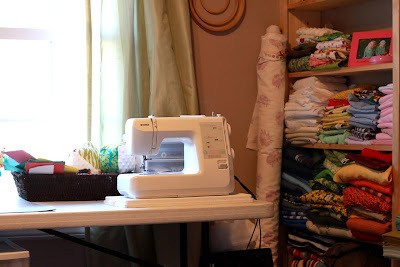 Before we moved here, if I wanted to sew something, mend something, glue something, I'd spend 20 minutes to dig through the closet, pull out my sewing machine, search for thread, etc. With the twins arrival, I knew with lots of needy little people I would need a more inventive, efficient approach. 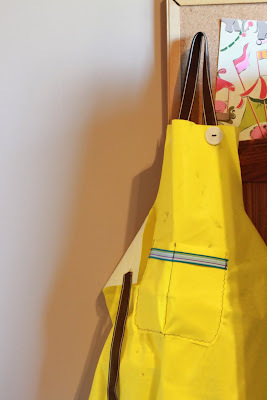 The biggest difference from the past: a table specific to sewing/creating. The most exciting thing is that a small table or corner with shelves can really fit into any size house. 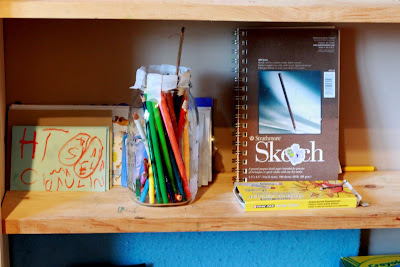 Use an existing card table or shelves on a bookshelf that could be rearranged to store your tools for your hobby. 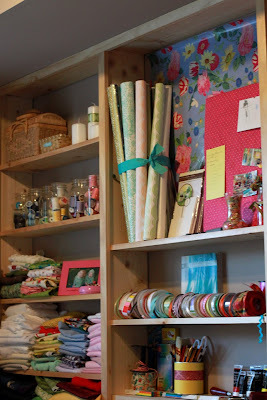 Use a closet, if necessary, to keep supplies organized and even set up a small table to facilitate your work in the closet. There is always a way to incorporate this "creative space" into any size home if you're creative to make it work. 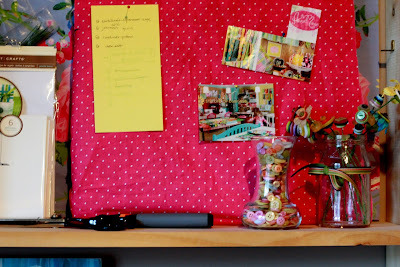 If space permits, keep an inspirational board above your space to tack ideas, future projects, or clippings of things that are beautiful to you. 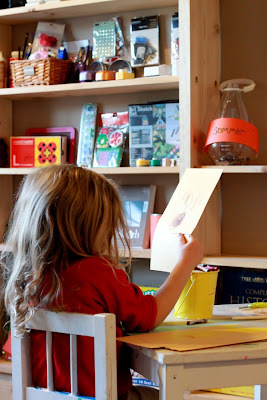 If you have small children, dedicate one shelf or a section of the wall for them and their creating. They can learn to keep their supplies there and will be able to create along side of you. Ikea has children's table and chairs that are small, simple, are made of real wood- ours was $20. If you are feeling like you never get a minute to do what fulfills you, the solution is to make a space for it. You will never need to waste time setting up and pulling out supplies to finally sit down and have to be called away. 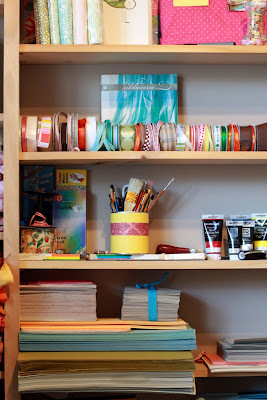 Be creative: look for an undiscovered nook in your home. Set up and get movin'!